The NewsLine: Leatherman the vagabond. The Leatherman (ca. 1839 – 1889) was a vagabond, country of origin unknown but possibly France or more likely Canada due to the French language prayer book found on his person after his death. Famous for his handmade leather suit of clothes who traveled a circuit between the Connecticut and Hudson Rivers from about 1856–1889. Although sometimes identified as Jules Bourglay, his identity remains unknown. 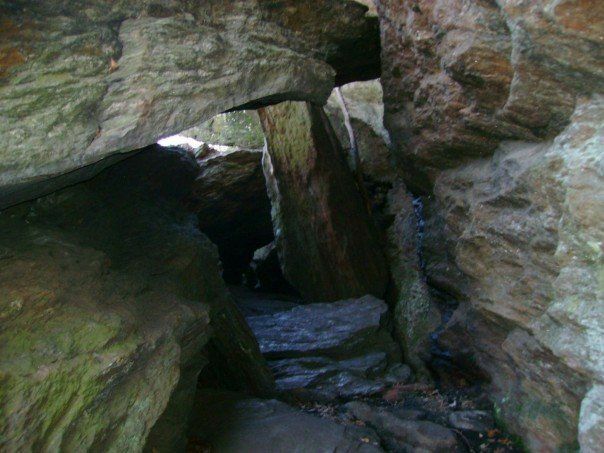 Residing in rock shelters and "leatherman caves" as they are locally now known, he stopped at towns along his 365 mile loop once every 34 days for food and supplies. He was dubbed the "Leatherman" as his entire adornment, from hat, scarf, clothes to shoes were handmade of leather. Fluent in French, he communicated mostly with grunts and gestures, rarely using his broken English. When asked of his background, he would abruptly end the conversation. Upon his death, among his possessions was a French prayerbook. He declined meat as food on Fridays, giving rise to speculation that he might be Roman Catholic. It is unknown how he earned money, although one store kept a record of his order: "one loaf of bread, a can of sardines, one-pound of fancy crackers, a pie, two quarts of coffee, one gill of brandy and a bottle of beer". Leatherman was quite popular in Connecticut. Reliable in his rounds, people would have extra food ready for him, which he often ate on their doorsteps. Ten towns along the Leatherman's route passed ordinances exempting him from the state "tramp law" passed in 1879. The Leatherman survived blizzards and other foul weather by heating his rock shelters with fire. The Connecticut Humane Society had him arrested and hospitalized in 1888, which was due to a spot on his lip they thought was from the blizzard of 88. His ultimate demise was from cancer of the mouth due to tobacco use. But he escaped before any treatment could be done. 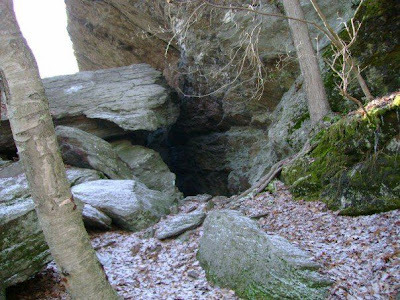 His body was found in March 24,1889 in his Saw Mill Woods cave near Ossining, New York. His grave is located at the Sparta Cemetery, Route 9, Scarborough, New York. 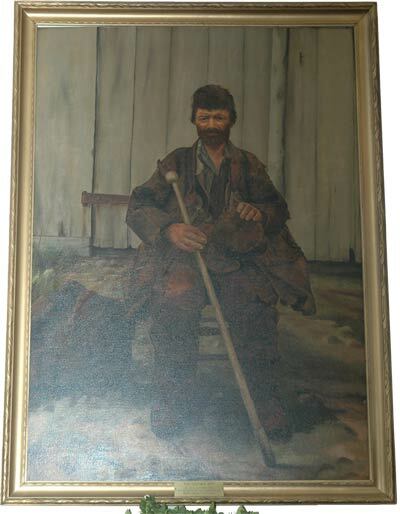 Though there is still some uncertainty, it is believed that the man pictured above, Jules Bourglay, was born in Lyons, France, but an economic depression there caused his business to fail. He eventually surfaced in America drifting through Connecticut and New York for about 30 years starting about 1859. He walked a clockwise circuit of 365 miles every 34 days between the Connecticut and Hudson Rivers. One of his regular stops on his journey was Derby where he was well known and easily recognized because of his rather odd dress. Though his final resting place is near Ossining, NY, his portrait hangs prominently in the Derby Public Library.